It is said that Queen Elizabeth gave Shakespeare two weeks to write this play that showcases her favorite comedic character, Sir John Falstaff. 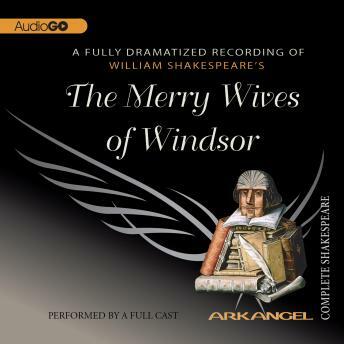 The dissolute Falstaff plans to seduce Mistress Ford and Mistress Page, two “Merry Wives of Windsor,” thereby gaining access to their husbands’ wealth. The two women have the old rogue’s measure, however, and Falstaff’s plots lead only to his own humiliation. But the merry wives themselves fall prey to plotting as their plans to prevent Mistress Page’s daughter Anne from marrying the young man she loves are frustrated in their turn. Dinsdale Landen is Falstaff. Sylvestra Le Touzel plays Mistress Ford and Penny Downie is Mistress Page. Nicholas Woodeson is Ford, Phillip Jackson is Page, and Clive Swift plays Justice Shallow.